Bringing out my inner gear nerd to write this post! Beginner photographers frequently ask me about the equipment that I use, so I thought it might be helpful to compile the main items into a blog post. For those who are seriously pursuing photography and want to know what items make good investments, or for anyone just curious: here is some information about the camera and lenses in my bag! 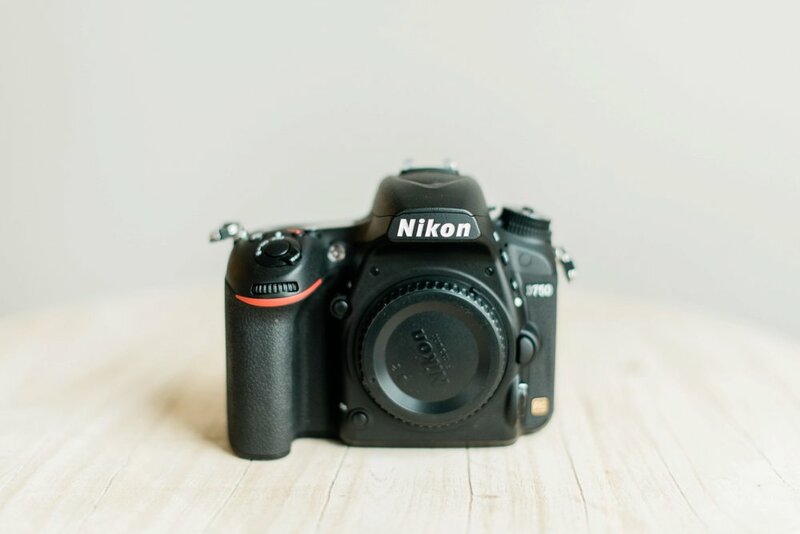 My current camera is the Nikon D750. I love it because of its full frame sensor, intuitive shutter speed/aperture controls, high ISO superpowers, dual card slots, and in short, just the gorgeous images it creates. It's rugged enough to withstand the wear and tear of many wedding days, and its weight is hefty, but it doesn't tire my arm either. I actually love this camera so much that I got a second one as my backup! Although I use several different lenses on a wedding day, the Nikkor 50mm 1.4 is my favorite, and rarely leaves my camera. For photographers just starting out, I would recommend investing in a good 50mm lens first thing after a camera. I use it for detail shots and getting ready photos, to the reception send-off and everything in between. I feel like my 50mm creates photos with a very true-to-life representation -- it makes you feel like you are there in the moment. Its versatility is another of its best qualities -- the focal length is long enough that it doesn't cause distortion and creates beautiful depth of field, yet it is short enough that I can use it even in small spaces. Probably 80% of my photos are taken with this lens. Uses: Shooting in tight spaces; wide shots; reception open dancing. 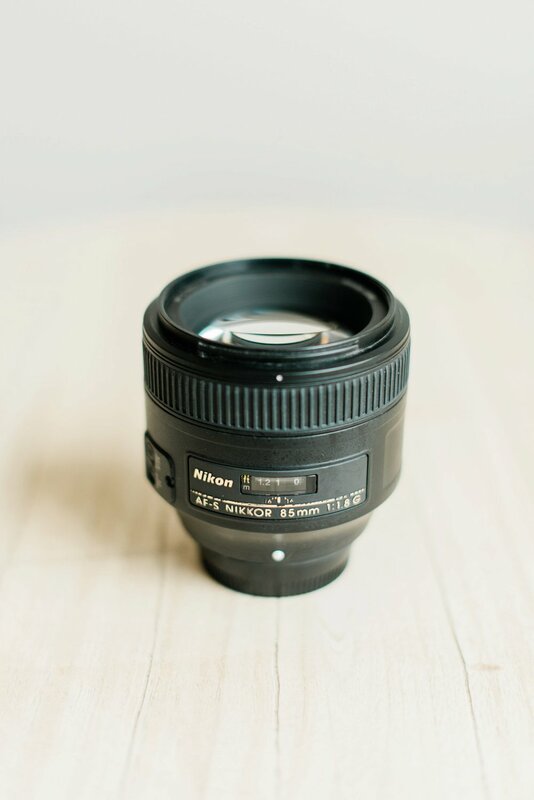 The Nikkor 35mm 1.8 is another of my frequently used prime lenses. I use this lens often when space in the bridal suite is tight, or when I want a wide, environmental shot of a ceremony or reception space. I will occasionally use this lens during bride and groom portraits if I want the couple to be small in relation to the scenery, but I don't use it for close up portraits because the shortness of the lens causes distortion (i.e. things closest to the camera can look disproportionately large, etc). However, this feature makes it a fun lens to use on the dance floor! The 35mm is probably my second most used lens on a wedding day because of its versatility. Uses: Tighter shots during ceremony and reception; portraits. Confession, I don't use the Nikkor 85mm 1.8 as much as I want to. It's one of my goals to use it more! The length of the 85mm combined with its wide aperture creates beautifully smooth backgrounds in almost any situation. For me, it's ideal for situations during the ceremony or reception where I need to zoom a little closer but still want that shallow depth of field. 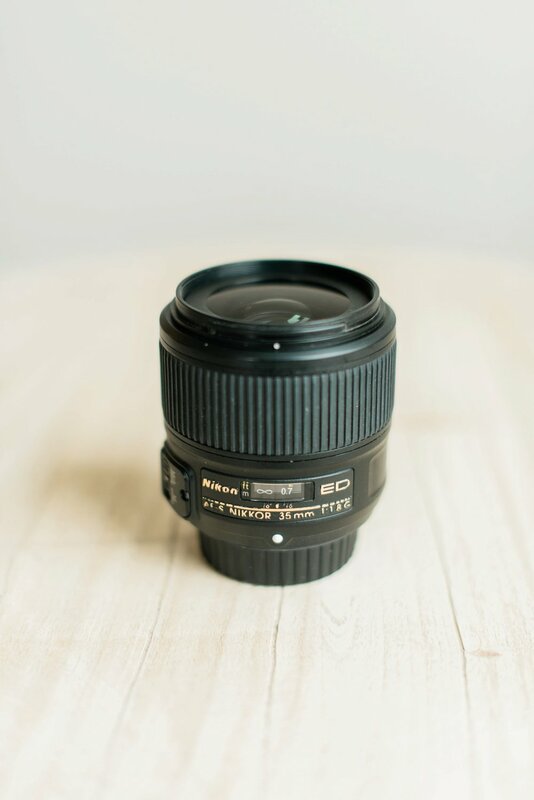 You need a lot of space to use this lens for portraits because of its long focal length, but the results are amazing in the right situation. I literally only use the Nikkor Micro 60mm 2.8 lens during one small part of the wedding day -- shooting the rings and other small details. But it's one of my top five lenses to have! It's a special lens because it can focus at a much closer distance than regular lenses can. I have it on my camera for less than 15 minutes total on a wedding day, but I couldn't show off those beautiful wedding rings in close up photos without it. The Nikkor 70-200mm 2.8 lens is a beast, and you might notice it's the only zoom lens in my list. While I prefer shooting with prime lenses for artistic reasons, the 70-200mm is indispensable for me during wedding ceremonies, when my goal is to capture everything as discreetly as possible. This lens allows me to zoom in close even while standing in the back and side aisles. This lens is extremely large and heavy, so I only ever use it during the ceremony and occasionally the reception speeches, but even for capturing those few moments in an unobtrusive manner it has definitely been worth the investment. Uses: To supplement the available light when needed. Even though I am a natural light photographer, there are often many situations throughout the course of a wedding day when the available light is not enough. Sometimes the room where the bride is putting on her dress is dark, or the reception hall is only dimly lit by candles. That's when I pull out this flash. It allows me to create good, clean light in a controllable way in almost any situation. I typically carry two or three of these with me on a wedding day. Sometimes I will put my flash on a light stand with radio triggers and use it off-camera, but often will simply bounce the light off of a white ceiling or wall to soften it. 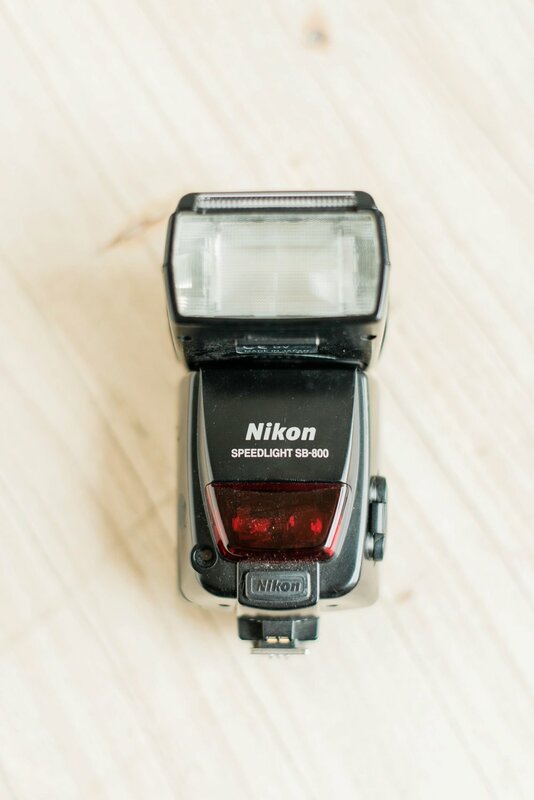 I definitely consider a flash to be a necessity for wedding photography -- it would be my #3 purchase after a full frame camera and 50mm lens. The amount of options for quality camera equipment out there is truly amazing -- far beyond the scope of this post. These are just a few items that I personally have found most useful in producing the style and approach to wedding photography that I love. There are many other pieces of equipment that I use on weddings days, including memory cards, rechargeable batteries, light stands, radio triggers, reflectors, etc. -- but that might be a post for another day haha!